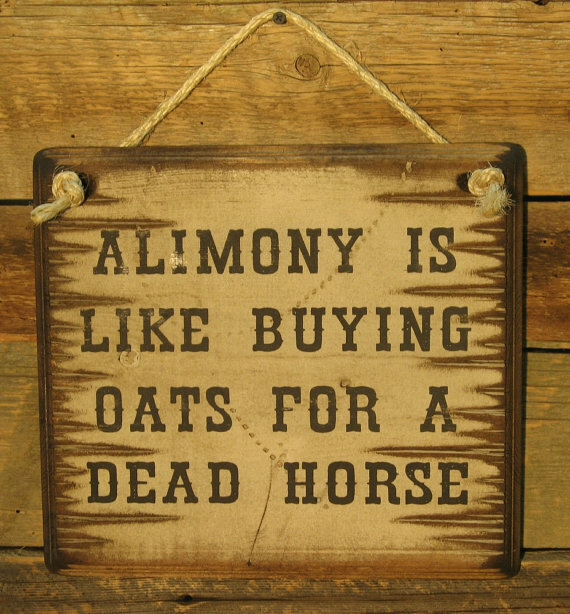 Alimony Is Like Buying Oats For A Dead Horse. Well this sign might say it all for those who have had a few hard times! This sign measures 12x12, has a white background and comes with the grass rope hanger for easy hanging. Handcrafted with pride! !